Please join me as a charter subscriber to the hottest free weekly online magazine for America’s new generation of black conservative leaders. America is the land of dreams, and it has fulfilled the dreams of so many people from so many places. As a child, I dreamed of becoming a doctor. And by working hard, embracing my mother's values and seizing opportunity, I was able to become a neurosurgeon. But I worry that today's generations have been lulled into a complacency that is destroying the promise of The Dream. The ruling elite has convinced too many young adults that it's OK to stay at home and live in your parents' basements playing video games or aimlessly roaming the streets with friends. After all, you can get a monthly check, a free cell phone and health insurance from Uncle Sam for doing nothing. Opportunity has been replaced by despair. Embracing character, values, marriage and family has been ridiculed. Government dependence has been substituted for self-reliance. And mediocrity has replaced excellence. I want you to join me today in demolishing this culture of failure and standing up to the media elite, who for too long have treated black Americans as a monolithic bloc addicted to a single political dogma. We need a new media source that embraces hard work, moral character, family values, good education and self-reliance and inspires the next generation with role models who have cast off the chains of mediocre expectations and proven that the American dream is alive and well. That's why I have joined friends like Armstrong Williams, Rev. A.R. Bernard, Juan Williams and others to create American CurrentSee, a new type of digital magazine that gets delivered every Sunday to your email inbox and works on your computer, smart phone or tablet. It will arm you for this fight by boldly addressing wrongheaded entitlement dependency and chronicling how big government's well-intentioned nanny state has created lasting pathologies like broken families, overtaxed businesses, under-performing schools and crime-ridden neighborhoods. Mostly importantly, it will inspire you to embrace a new agenda of economic opportunity, moral leadership and freedom from suffocating government. I love the last stanza of our national anthem. But I also know that in order to be free, first you must be brave. Be brave. Sign up today for American CurrentSee and together let's demolish the tired old dogmas, free today's generations from dependency and mediocrity and build a better America. On Thursday, a senior editor for EBONY, Jamilah Lemieux, attacked black conservatives on Twitter. 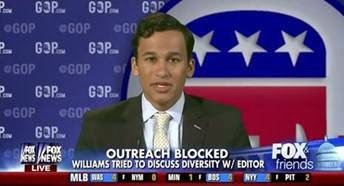 One of our RNC staffers, Deputy Press Secretary Raffi Williams, tried to challenge her assumptions and called her out for her bias. She responded by dismissing him as “a white dude.” (He’s black.) She then went on to refer to her detractors as “a house of roaches.” She said she had “no interest in this conversation.” “I wish I knew less” about black Republicans, she said. On Friday morning, Chairman Reince Priebus sent a letter to EBONY asking for an apology for dismissing black Republicans and the validity of their opinions in public discourse. Friday afternoon, EBONY responded with an apology posted on their website. The RNC appreciates and accepts their response, and Raffi has accepted their apology. Despite the actions of one editor, we’re glad to see EBONY embracing a higher standard of journalistic integrity. 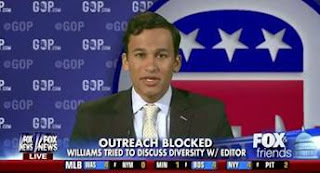 Friday morning, on Fox and Friends, the RNC’s Raffi Williams discussed what he thought of the repeated attacks on black conservatives and lack of journalistic objectivity from a senior editor at EBONY. You can watch HERE. As Democrats continue to suffer from the fallout of ObamaCare, Nate Silver’s FiveThirtyEight reports that Republicans are favored to take back the Senate. When FiveThirtyEight last issued a U.S. Senate forecast — way back in July — we concluded the race for Senate control was a toss-up. That was a little ahead of the conventional wisdom at the time, which characterized the Democrats as vulnerable but more likely than not to retain the chamber. Our new forecast goes a half-step further: We think the Republicans are now slight favorites to win at least six seats and capture the chamber. 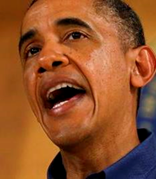 The Democrats’ position has deteriorated somewhat since last summer, with President Obama’s approval ratings down to 42 or 43 percent from an average of about 45 percent before. Furthermore, as compared with 2010 or 2012, the GOP has done a better job of recruiting credible candidates, with some exceptions. With ObamaCare turning four years old this week, the RNC’s Research Department released a document highlighting how ObamaCare is adversely affecting millions of Americans. Two men use similar language and the left calls one a bigot. A week later, and liberals are still lining up to assail Paul Ryan's "racism." The episode is worth noting not because Mr. Ryan said anything wrong, but because of what it shows about the political habits of today's elected and media left. The Wisconsin Congressman has been looking into the problem of upward economic mobility and how effective federal programs are in combatting poverty. Appearing on Bill Bennett's radio program, Mr. Ryan observed that antipoverty assistance can often create "incentives not to work and to stay where you are, that's not what we want in society. . . . 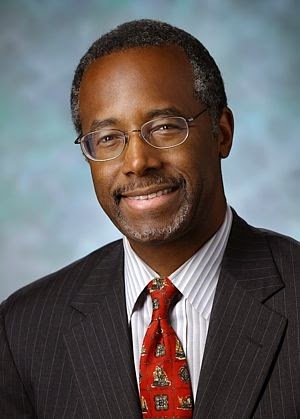 There are a lot of people slipping through the cracks in America that are not reaching their potential and we as conservatives should have something to say about that." He also mused: "We have got this tailspin of culture, in our inner cities in particular, of men not working and just generations of men not even thinking about working or learning the value and the culture of work, so there's a cultural problem that has to be dealt with." The liberal online organ Think Progress led with the headline "Paul Ryan Blames Poverty On Lazy 'Inner City' Men," and it was off to the races. California Democrat Barbara Lee denounced his "thinly veiled racial attack," adding, "Let's be clear, when Mr. Ryan says 'inner city,' when he says 'culture,' these are simply code words for what he really means: 'black.'" Others were less charitable about his imagined neo-Confederate sympathies. Mr. Ryan put out a statement saying he had been "inarticulate" but reiterated his point that "the predictable result" of the poverty trap for society at large has been "multi-generational poverty and little opportunity." But don't take his word for it. "We know young black men are twice as likely as young white men to be 'disconnected'—not in school, not working. We've got to reconnect them. We've got to give more of these young men access to mentors. We've got to continue to encourage responsible fatherhood. We've got to provide more pathways to apply to college or find a job. We can keep them from falling through the cracks." Those were the words of President Obama, speaking less than a month ago about his "My Brother's Keeper" project to help "groups who've seen fewer opportunities that have spanned generations," especially boys and young men of color. "It's going to take time. We're dealing with complicated issues that run deep in our history, run deep in our society, and are entrenched in our minds." No less than Mr. Ryan, Mr. Obama sure sounded like he was talking about "a cultural problem." He didn't mention "inner cities," but his entire White House initiative is geared to helping young minority men, not whites. The President even concluded with an ode to self-reliance that Mr. Ryan might have considered a little too lacking in nuance: "Government cannot play the only—or even the primary—role. . . . It's ultimately going to be up to these young men and all the young men who are out there to step up and seize responsibility for their own lives." So even though Mr. Ryan never mentioned race, liberals attacked his off-the-cuff remarks as racist while the President's moral lecture was hardly noticed. Republicans are accused of racism if they ignore the least fortunate, and now they're racist for taking poverty and its causes seriously. Unless you unreservedly favor the welfare status quo, or used to be a community organizer, the left gets you coming and going. The attacks on Mr. Ryan are one more example of the politics of personal vilification that typifies the left these days. Its policies were supposed to reduce inequality, but instead the income gap is widening. They were supposed to lift people out of poverty, but poverty has increased. So the last thing they can tolerate is a conservative like Mr. Ryan who is looking for better solutions and using a moral language of opportunity and upward mobility that could appeal to Americans of all incomes and backgrounds. Liberals have to smear conservatives personally because they know they're losing on the merits.